UFO 'Roswell Incident' was Ultra Secret Nazi Technology? The documentary screened on the N24 channel claims the craft was the forerunner of the Stealth fighter of today and was crafted by scores of V2 rocket experts who were spirited to America at the end of the war to give the USA the edge over the Soviet Union in rocket technology. . . . If all this Nazi nonsense sounds familar, it's because it's a rerun. 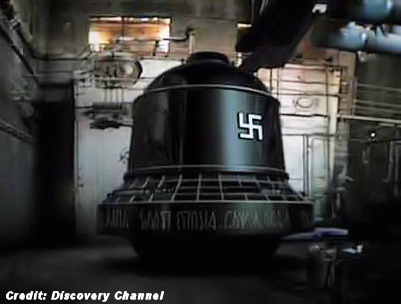 The Mirror story is based on a German broadcast of "UFOs im Dritten Reich," but it's just a translated version of the 2008 Discovery TV documentary "Nazi UFO Conspiracy," written and directed by Hereward Pelling.